Below is her column that appeared in the Herald on 16th August, 2014. Underneath that is a transcript of the original interview. I like to think of it as the “writer’s” cut. Since Roland Fishman founded The Writers’ Studio in Sydney in 1992, he has taught creative writing to thousands of students, some now published authors. 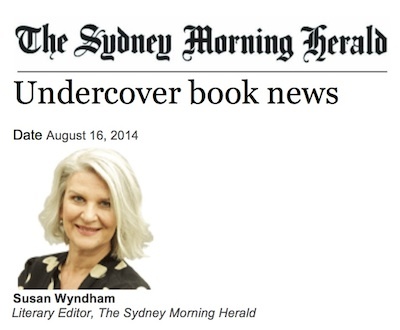 Meanwhile, everyone who knows the former Fairfax journalist has been waiting to see his own talents in the novel he was quietly working on. He had published two books on cricket in 1986 and 1991 but, until now, nothing more. 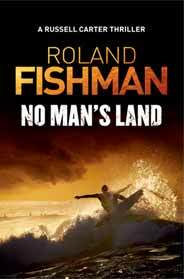 So I was pleased to receive a copy of No Man’s Land, the first in a series about Russell Carter, surfer and special operative, who must stop a planned terrorist attack on Sydney Harbour. Fishman spent years on a literary grunge novel, a caper novel and a romantic comedy before finding his genre, inspired by the TV ninjas of his childhood and the books he liked to read. No Man’s Land took about four years to write, he says, partly because ‘‘I wanted to establish a larger-than-life character with the depth and mythic quality to carry a thriller series’’. He felt the pressure of wanting to present a good example for his classes and found it hard to be objective about his own work. ‘‘The reason the Writers’ Studio courses work well is that I’ve made every mistake a writer can make, am extremely persistent and have always maintained a willingness to learn,’’ he says. Kathleen Allen, his partner in life and work, was ‘‘a tough critic’’ who helped ‘‘deepen the emotion and flesh out the love story’’. No Man’s Land is also the first title from The Writers’ Studio publishing arm, Rising Tide Books; the ebook is available from Amazon and the print edition is out in September. SW: I’m so pleased to see your novel finally published and had a look through the opening pages. Looks like a thrilling thriller and very good on the surfing scenes. I will read more later. Congratulations. RF: Thank you. I’ve just got back from a research trip in the Northern Territory where I am setting my next novel in the Russell Carter series and was really thrilled to get your email. RF: The novel was around four years in the making, not including the editing process. Part of the reason it took so long is that I wanted to establish a larger than life character with the depth and mythic quality to carry a thriller series. The next one is set in the outback and will hopefully be the second of many (I see six in total). I love reading series because you connect with the key characters from story to story and see them grow. Some of the best writing around is on series television. SW: As a writing teacher, has it been harder to write your own fiction? RF: Having run writing classes for over twenty years, the danger is that you feel you are an expert. You forget, to paraphrase Ernest Hemingway, we are all apprentices in a craft where they are no masters. In the classes I’m always saying as a fiction writer you have to remain humble and open and focus on being a learner. And of course there is the pressure of expectations. I really felt No Man’s Land needed to be a good example for people who do our classes and only my very best would do. Also, having spent so long immersed in the study of the process of writing, it is relatively easy for me to identify what other people need to do. And for the most part I am spot on. But when it comes to my own work, where I’m emotionally attached, it is much harder to be objective. It is always so much easier to see what other people need to do. That is why fiction writers need outside input. My partner in life and at the Writers’ Studio, Kathleen Allen, has been a tough critic and a great help. No Man’s Land owes a lot to her. She particularly helped me deepen the emotion and flesh out the love story. SW: Have you learnt from your own teaching? 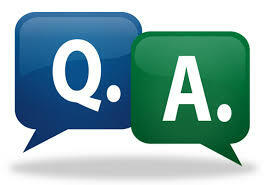 RF: The transition from journalist and non-fiction author to fiction writer has been a real journey. Non-fiction is about the facts. The kind of fiction that I like is all about having your reader wanting to know what happens next while taking your main character on an emotional and spiritual journey of change. Just because it happened is no excuse in fiction. It is all about the emotional truth and having your readers wanting to keep turning the pages. And I always need to keep going back to the fundamentals. In our very first session of our introductory writing course I’m always stunned by how good just about everyone’s writing is when they learn tools and techniques to access the power of their imagination. It feels like a minor miracle and I need to be constantly reminded of the need to trust that part of my self. SW: I believe you have been writing fiction for much longer than four years, so are there other, abandoned novels? RF: It took me an infuriatingly long time to find my genre and then my niche in that genre. I spent years writing a literary grunge novel, a caper novel and a romantic comedy set in a new age retreat In California. The four years isn’t chronological and doesn’t include some of the early iterations of No Man’s Land. I believe the reason the Writers’ Studio courses work well is that I’ve made every mistake a writer can make, am extremely persistent and have always maintained a willingness to learn. I’ve gone to writing conferences around the world and am constantly studying the craft. I remember one US writing teacher said the attitude you have to have is, “I’d rather fail as a writer than succeed at anything else.” That’s me. I’ve put everything I’ve discovered along the way into the classes. The one guideline I suggest people follow, when deciding whether to adopt the tools we offer at the Studio is, what works, works. SW: How did you know they were not working? The feedback I’ve received for No Man’s Land is very different from my previous efforts. I remember sending Selwa Anthony, my agent, the first thirty pages on a Friday and she rang on the Monday saying how much she loved it. The positive feedback was reinforced at a couple of writing conferences I attended in the US and then pretty much all the way through to the editing process. Probably the biggest kick I’ve received is when recently, a couple of friends of mine’s wives picked up the book and to my surprise read it all the way through in a couple of days. SW: Will the book also be printed or just digital? RF: Print release is in early September and the ebook is available on Amazon.